Today is Earth Day, where we celebrate environment protection, and think about conservation — and also the negative changes that we’ve made to the world. It’s a topic that’s important to me, as it should be to everyone. My wife and I worry about climate change, and human impact on the environment. We try to take small steps every day to help however we can. We recycle heavily, for example, thanks to Edinburgh’s green initiatives. Our landfill footprint has gone down drastically in the last ten years, with a huge percentage of our packaging, and virtually all of our glass and metals, being recycled. We’ve cut down substantially on the amount of beef we consume. We walk everywhere, regardless of the weather, and use our car less than once every two months on average. We reduce food waste by using a composting bin in the garden, including for our coffee grounds. Our dog’s waste bags are compostable, as are our iPhone cases. We do most of our holidaying here in Scotland, minimising flights (I fly about once a year). We also try to combine deliveries, where possible, via shared online shopping accounts. These are small things, but we hope that they add up. Going beyond the real world and its many problems, I’m a writer, and there’s of course also a genre of fiction which deals with climate change: it’s called cli-fi, which I’m sure you’ll agree was absolutely inevitable. You may even have read some books which touch on those issues — and you’ll have the opportunity to read at least one more. It seems like an appropriate day to reveal that the upcoming second book in the KESTREL series, entitled TOLL, is in the cli-fi genre — though being a KESTREL book, there’s of course a healthy dose of strangeness going on too. You could say that it’s my way of addressing my own concerns about our shared future. 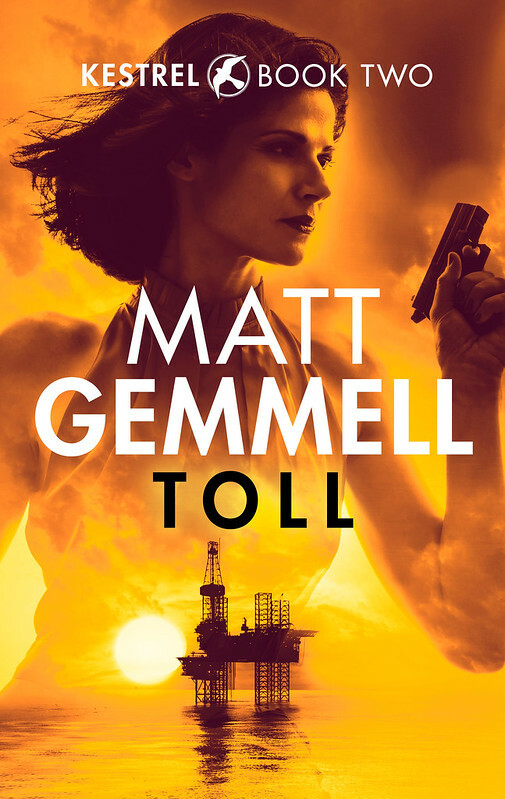 I’d love to keep you up to date on TOLL’s availability, including pre-order dates, the public release, and some exclusive behind-the-scenes extras (like details of the novel-planning process for this book). If you’d like to join my low-traffic, no-spam Readers’ News list, you can sign up below. Thanks so much for reading, and Happy Earth Day to us all.